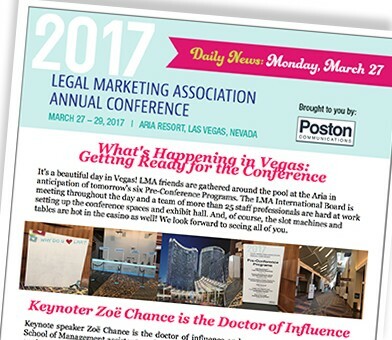 The 2017 Legal Marketing Association annual conference newsletter for Monday, March 27, is here! 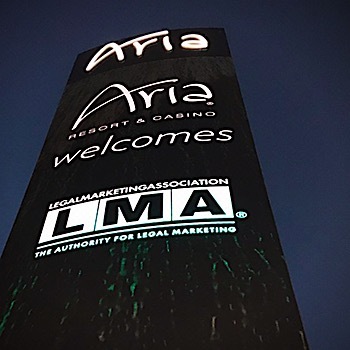 More than 1,500 LMA attendees are gathering at the Aria Resort in Las Vegas this week, and Poston Communications is on site to keep everyone connected. 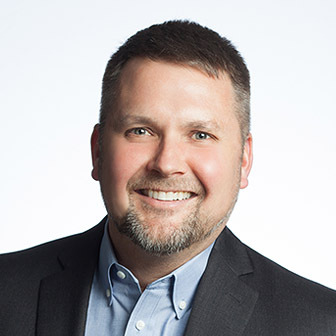 A complete schedule is available at www.legalmarketing.org. For live updates, follow the Twitter hashtag #LMA17.